Darling Group’s general manager of group sales and marketing, Jacob Darling. With a continued focus on grower returns, Just Avocados has delivered positive outcomes through placement of New Zealand avocados in the international marketplace. 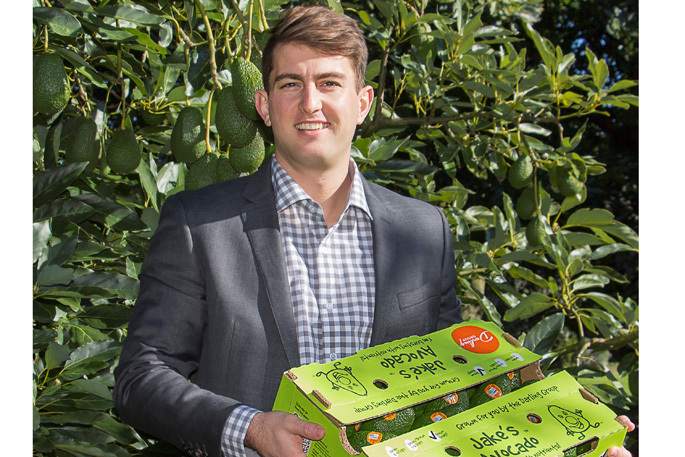 “With the 2018/2019 New Zealand avocado season behind us, we’re now planning the 2019/20 season,” says Darling Group’s general manager of group sales and marketing, Jacob Darling. “We’re still awaiting an industry crop estimate to be released, but the discussion internally and in the field suggests this year’s crop will be up on last year. Although the overall per-tray export outcome will be below initial expectations due to a challenging tail end market in Australia, Jacob says Just Avocados is very pleased with its Orchard Gate Return for the 2018/2019 season. “In summarising, Just Avocados has achieved three strategic goals, which we believe have had the greatest influence on our ability to maximise grower returns,” says Jacob. “These are supplying retail in Australia directly; growth in new market development in Asia, increasing our supply from 20 per cent to a total of 28 per cent; and stock management control and speed to market through our new business model in Australia. Last season, Just Avocados had 65 per cent of its total volume go into Australian retail – Jacob says this is a milestone considering where they’ve come from in the last three years. “The season review with retail was very positive. Another very positive outcome is our average fruit speed age to retail in Australia. “Our numbers indicate an average speed to retail of 21 days – with the shortest time period being 16 days – something we know our growers are benefiting from through our new third-party logistics model.